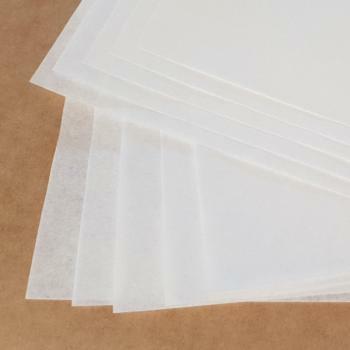 Tissue paper is very thin and flexible, has a basis weight of less than 25g / m² and is mostly transparent. It is often made from 100% recycled paper. For special applications, the paper can also be produced chlorine-free, wood-free, acid-free, knot and speck-free and corrosion-neutral. Tissue paper is also made bleached, pure white. Tissue paper finds a variety of applications, including but not limited to bottle silk, liner for Speigeln and noble mats, patterns, food silk and generally as well as colored wrapping paper. A special form is tissue paper, which is an absorbent, fine-grained tissue paper. We supply tissue paper in the form of rolls and formats.